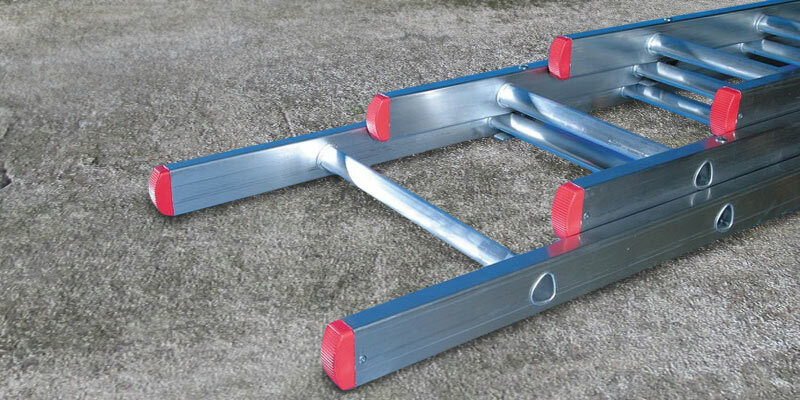 The base of the ladder is extra wide with plastic stabilisers. This maximises the product's sturdiness so you will feel safe standing on it at any height. This model is rather heavyweight. 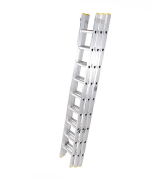 This multifunctional ladder from BPS Access Solutions is renowned for its resistance to bending and damage. However, the flexible articulated mechanism makes it easy to position it however you want. It can be used not only as a climbing tool but as a workbench as well. This ladder will help you reach the maximum height of nearly 8 metres, which makes it an invaluable and multifunctional instrument. 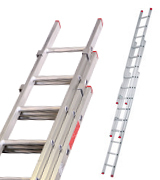 The triple extension ladder TB Davies is made out of top-notch aluminium with unique D-shaped steps, always placed perpendicularly to your legs even if the ladder is standing at an angle. Useful for both professional work and domestic chores. Other versions are available. 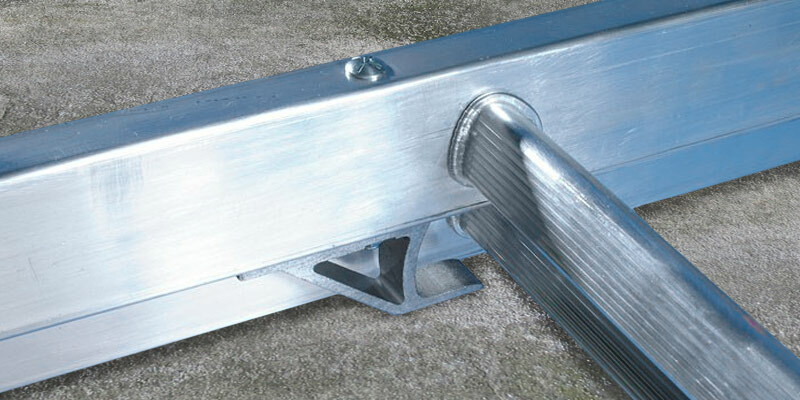 The side profile near every single step has double couplings which provide a firm grip on the stripping sections. They are also good to hold on to while you're getting up the steps. You have to be careful when folding this product to keep your fingers from getting hurt. 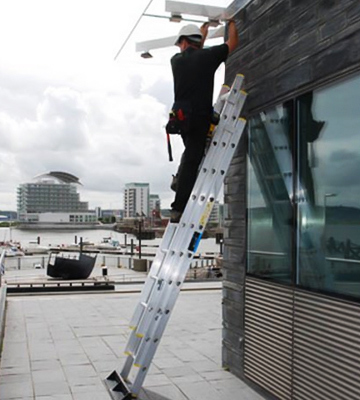 The Finether telescopic ladder of 5m has 14 anti-slip steps with a 37-cm gap between them. The foundation has support caps that stop the ladder from sliding. The model is compact, easy to transport and store. You also get gloves and a case with the purchase. A 4.1-metre model is available. Extruded hooks and guides provide extra sturdiness and stability with no sagging even when extended. Despite its impressive length, the Lyte BD325 is relatively lightweight. The plastic caps might slide when placed on grass. The Lyte three-sectioned extension step ladder is good for a variety of tasks such as washing windows or construction work. It's easy to fold and extend, has ribbed steps that prevent slipping. 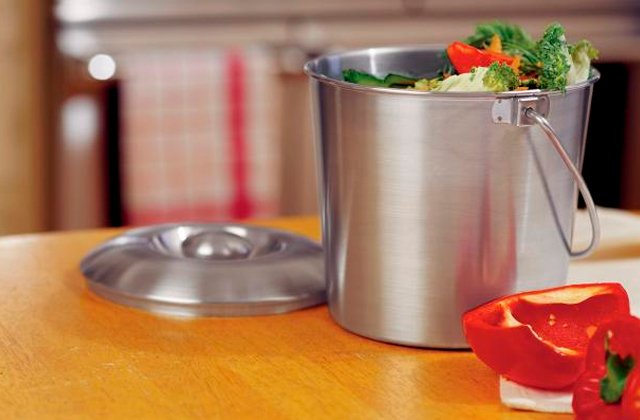 The product is made out of stainless metal so it will last you a long time. The sturdily positioned fixator-locks will keep the ladder extended without any backlash, guaranteeing you maximal security. Might not be high enough for some of the outdoors work. The Todeco extendable ladder with 13 steps is a universal helper for many tasks such as construction, repairs, or even fruit picking. You get a free carrying bag with your purchase. The product is made according to the European EN131 standards. If you’re doing a lot of work on a house that requires you to get to heights quite often, any kind of climbing equipment would be nice to have. 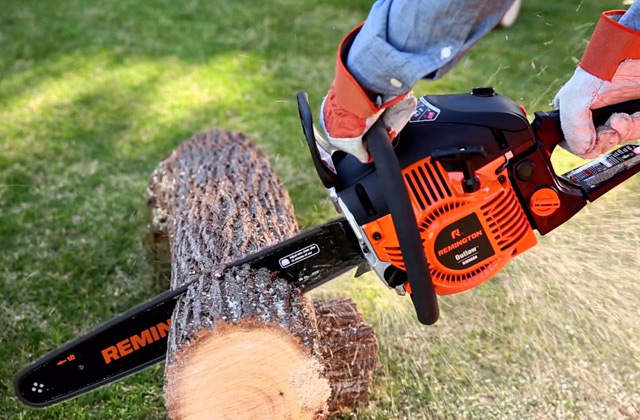 Would it not be great to have something not only sturdy but also versatile eliminating the need for any other tools? If that sounds exactly what you need, then we'd like you to take a look at the best extendable ladder in the market - the BPS Access Solutions 4x4 Rung Multi Purpose Ladder, an easy-to-transform and versatile product that can help you reach any height up to nearly 5 metres. Featuring a new thicker steel interlocking platform at 1.5 mm, this model is all about sturdiness. It won’t bend under your weight as it's designed to support up to 150 kg, so you can safely climb on it yourself along with the necessary materials and tools. 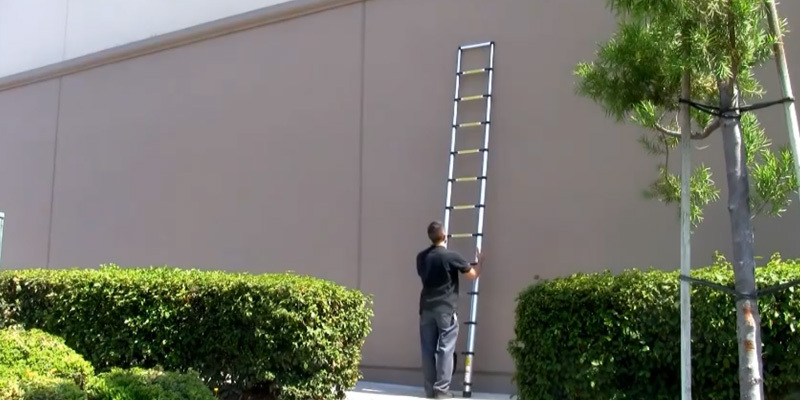 Whether you need to bring a saw with you to trim some tree branches or a hammer to patch your roof up a little bit, it can be done easily with the help of this ladder. The hinges installed on the ladder are strong but flexible enough for you to shift them around easily and transform the ladder into a stepladder, an extension ladder, a platform to hold tools, or even a workbench. This way, this multipurpose extension ladder saves you the need to buy several ladders for a different use. Whether you need a long platform to stand on or a tall set of steps to get to the roof of your house, this model will allow you to accomplish all these tasks with ease. The transforming BPS Access Solutions model is quite compact with a footprint of just 1.20 by 0.69 metres when folded. If you take plastic stabilisers off, the width actually shrinks to a mere 0.35 metres. Just remember to put the stabilisers back on before use because without them, the ladder won't stand sturdily on the surface. With the weight of 24.5 kg, this ladder isn't the most lightweight, obviously, however, its weight is well justified by its ability to transform into the variety of other tools. Moreover, it's highly resistant to a different environment owing to the all-aluminium construction. If that wasn't enough, the manufacturer covered this product with a lifetime warranty so you can be sure that it will serve you for many years to come and not let you down. Overall, this transforming BPS Access Solutions extension ladder will be a worthy purchase for anyone who seeks functionality and outright quality. It’s sturdy, reliable, and versatile and will come in handy on many occasions besides painting or tiling the roof. 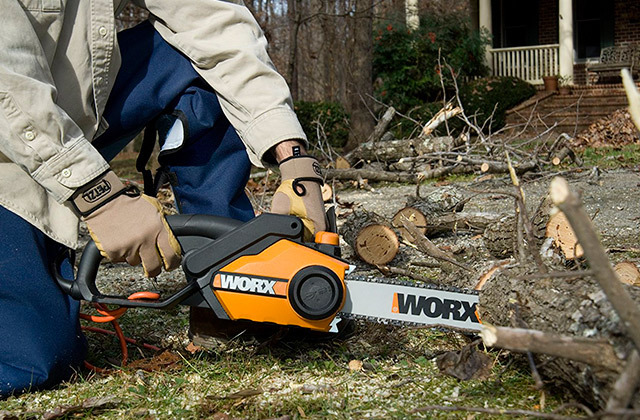 If you’re going to work high up, it makes sense to get a big and sturdy tool that will keep you standing firm no matter what. For maximum stability and extra height, get the TB Davies 1102-008 that will provide you with an easy way to reach elevated places that are hard to reach. This particular model goes as high as 7.6 metres, more than enough to get to your roof, climb a tree, or wash your windows. Of course, that height is fully adjustable and you can change it according to your needs. Moreover, the manufacturer offers several versions of this ladder allowing users to pick one that fits their specific tasks best. Some are just 3 metres long while others reach a whopping 10 metres. With that, neither of them compromises your safety for the sake of height. Every single model in the TB Davies lineup is fitted with the necessary safety features that your well-being depends upon. One of the standout features of this ladder is that it has D-shaped steps. Thanks to this, you get a wider platform to stand on, have better stability, and run no chance of slipping. Plus, thanks to this shape, the steps are always perpendicular to your legs even if the ladder is standing at an angle. 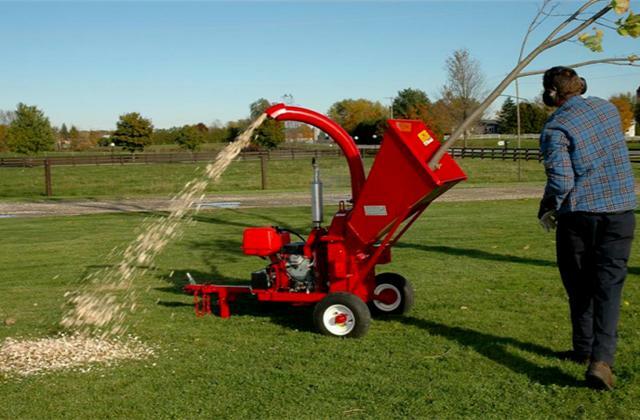 All of this makes it a reliable companion for whatever elevated jobs you've got at hand. The TB Davies 1102-008 weighs 21 kg, which is quite a lot, but on the other hand, this makes this ladder much more stable and sturdy. You can be sure that it won't get flimsy after a few months of use and will last you for years and years. With the maximum weight load capacity of 150 kg, the TB Davies 1102-008 should suit the needs of everyone, from a regular homeowner needing it to clean out leaves or to fix something on the roof sometimes to a professional constructor using a ladder daily. It's very easy to transport too. When folded, the ladder shrinks to 3 metres. 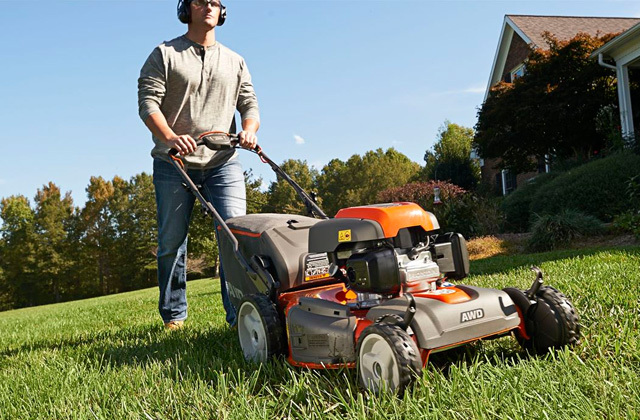 Buying the TB Davies 1102-008, you get a 3-year warranty that protects your purchase from any unforeseen circumstances. This can save you money if you ever have any issue with the ladder. 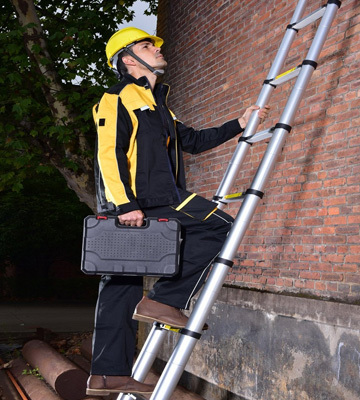 Overall, the TB Davies 1102-008 collapsible ladder is a solid choice for any user who values quality, safety, and needs a reliable product for reaching high places. It will save you in a pinch and keep you standing firmly no matter how far up you climb. Regardless of what kind of work you’re doing, it’s always sensible to have a well-rounded and high-quality tool to help you along. In this case, you should turn your attention to the Finether 5M Telescopic Ladder, one of the better options among a variety of folding ladders available in the market. 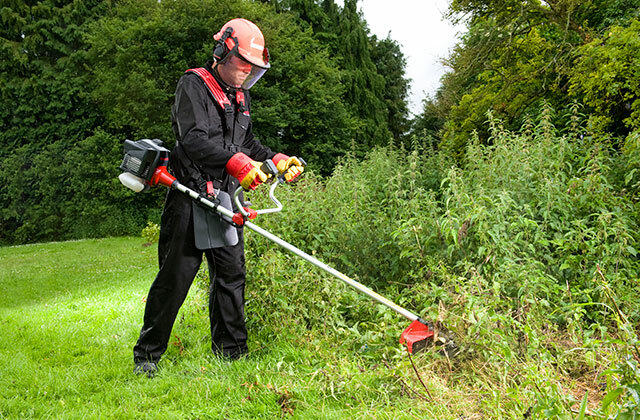 As the name suggests, this model can be extended up to 5 metres, a reasonable length that should be sufficient for the majority of tasks at home, although it would probably seem a bit modest for professional users. At 13.4 kg of weight, the Finether 5M Telescopic Ladder is relatively lightweight, easy to transport, and set up. However, it seems that folding it can be a bit of an issue and it’s officially recommended to retract it carefully to protect your fingers from getting pinched. To make it a bit safer and more convenient to use, the manufacturer supplies the package with a pair of gloves so you can both protect your hands and keep them clean. Also, you get a handy case in which you can transport the ladder and store it when not in use. When folded properly, the Finether ladder is just 1 metre long. 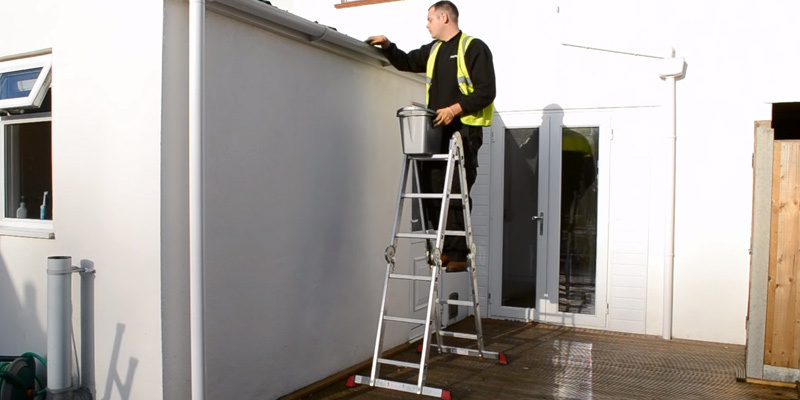 The Finether Telescopic Ladder has 14 steps with specialised anti-slip technology to keep you standing still. The gap between the steps is 37 cm, not too small to feel uncomfortable and not too big to feel insecure. 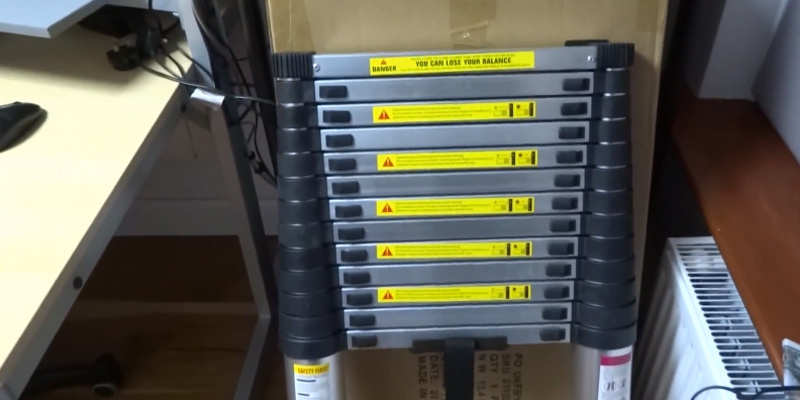 For additional security, each step of the ladder is fitted with double boxes which allow it to stand sturdily on any surface upright and extended. The grips contribute to the safety of use too, providing you with support while being at the height, ascending or descending the ladder. Another thing that adds to the stability is plastic caps at the base which keep the ladder from sliding, no matter where it stands - on the grass, dirt, or pavement. We would also like to mention the fact that the Finether 5M Telescopic Ladder is one of a few models out there which is entirely made of environmentally-friendly materials and adheres to the EN131 certificate. Summarizing all that we said above, the Finether 5M Telescopic Ladder is a great choice for anyone who wants a reliable product that won't be difficult to carry around. It's eco-friendly, sturdy, and strong enough to compete with heavier models. 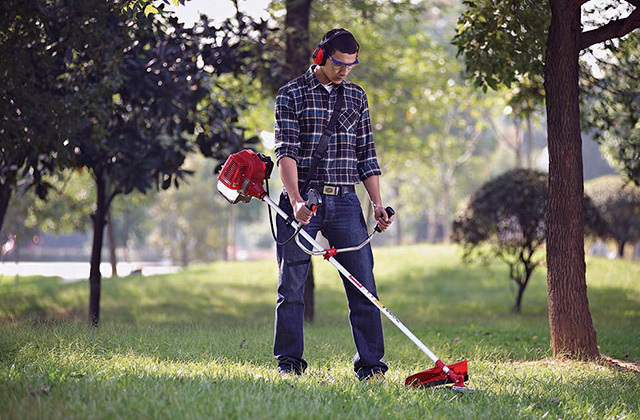 Perfect for all household chores and garden jobs. Not everybody wants to spring too much on a tool that isn’t going to be used every day. 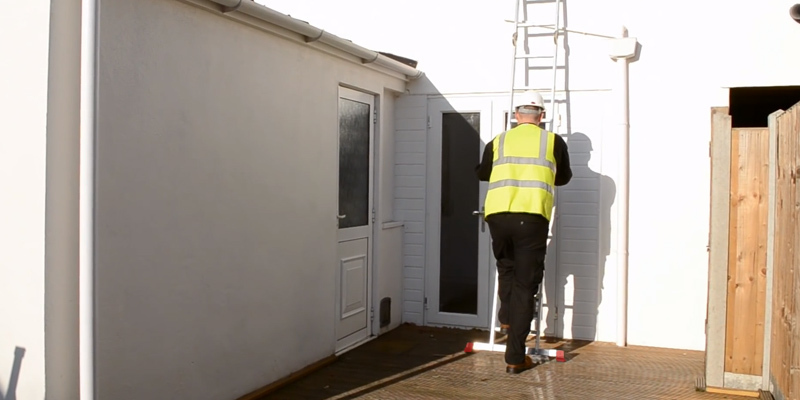 So if you want an affordable extension ladder, take a look at the Lyte BD325, a well-built and quality product that will help you do just about any work around the house. 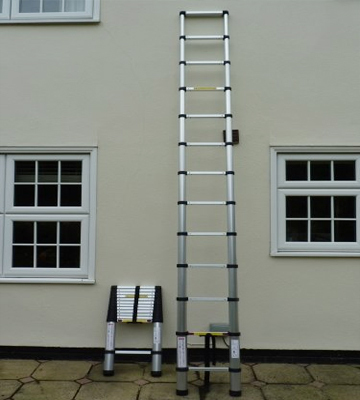 The working height of this ladder is 5.2 metres, which should be enough for cleaning gutters, washing windows, trimming trees, retiling roof, and many other similar household tasks. And since this ladder is adjustable, you can position it however you like configuring the setup to suit your needs. So whether you need to do something just a bit off the ground or way up high, you only need to slide out several sections. The rungs on this model are D-shaped which provides support for the entire foot and eliminates the fear of losing balance. Also, in contrast to many other step ladders we've seen, the steps on this one are ribbed which helps prevent slipping. For additional safety, the base of this model is fitted with plastic caps that keep the ladder from sliding on the grass or soft dirt. With the caps on, you can sort of dig the ladder into the soil to achieve better stability and firmness. As the Lyte BD325 is rather lightweight and has only a few sections, it extends easily without sagging. Extruded hooks and guides give users additional security providing them with stability and something they can hold on to while ascending or descending the ladder. You can even hang some tools on these hooks, like a bucket for window washing, for example, or a screwdriver if you need to repair a light fixture or do something on the roof. The ladder has a good weight capacity of 150 kg which should be enough to support an adult person as well as some tools and materials. Just remember to practice safety and not shift your body around too much during projects. Weighing just 8.5 kg and being only 2.2 metres long when folded the Lyte BD325 is also rather compact and portable. You will have no problem to transport it and manoeuvre even in rather confined and awkward spaces. 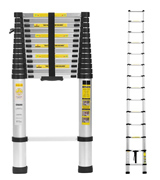 All in all, the Lyte BD325 is a very good ladder that we like in many ways, except for the fact that it comes with a rather short warranty. On the positive side, you still have those 30 days to try it out and decide for yourself whether this ladder is right for you. If you enjoy little DIY projects, you could probably make use of such a high-quality tool like the Todeco 3.8 M Telescopic Ladder, a reasonably-priced and well-made extension ladder that suits a variety of needs. 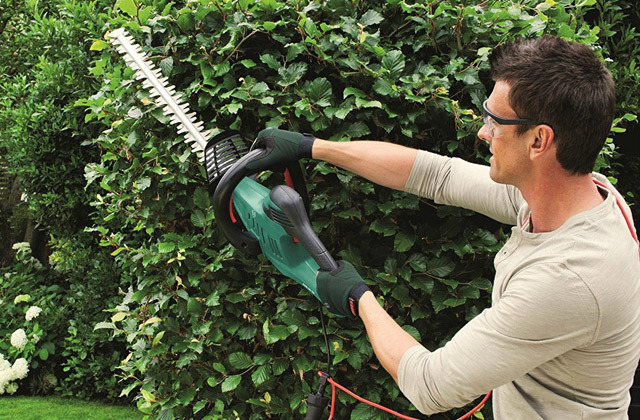 This model is 3.8 metres long when extended, which is enough for doing plenty of work on a house or garden. You can lean it freely against a wall or prop it up to your roof for tiling. 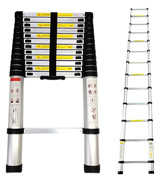 The ladder is quite compact and thus is very easy to use and fold. With a footprint a little bit less than a metre when folded, it is easy to fit it in the bag that comes together with the purchase. Moreover, the Todeco 3.8 M is quite lightweight. With the weight of just 10.7 kg, you can freely carry it on your shoulder or with one hand. However, it isn't a flimsy ladder. Made of a strong aluminium, it will hold an adult person easily along with some additional tools. And if you're involved in DIY tasks quite seriously, then you may want to browse our electric hand planers and screwdrivers reviews too. The Todeco Telescopic Ladder is fitted with fixator-locks that keep it extended without any backlash that might impede your work and cause the product to wobble. 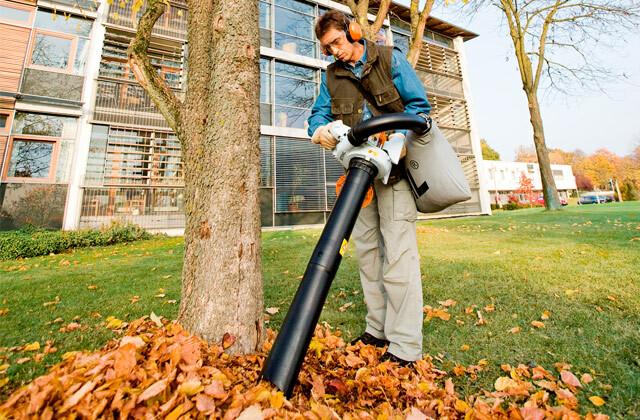 It can support a weight of up to 150 kg, allowing an adult person to stand firmly on it with a bucket full of hand tools. But the best thing is that it has quite wide step platforms which alleviate the balance awareness and promote confidence and comfort in use. The Todeco ladder is designed according to the strict European EN131 standards and that means it's not only well-made but also eco-friendly. 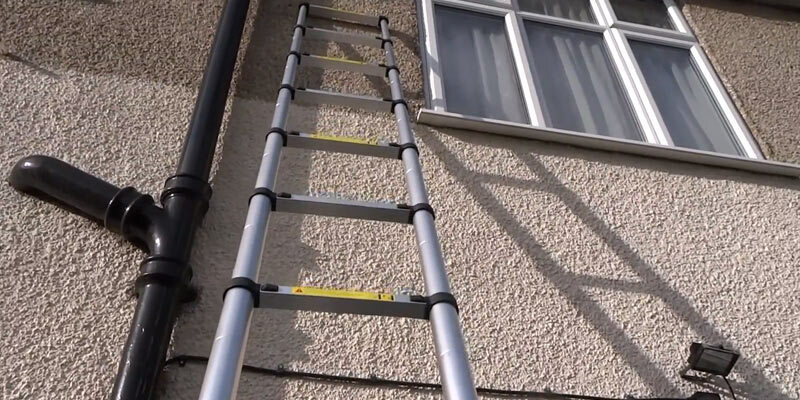 Although we like this ladder and find it great for many tall tasks around the house, its working height will not be enough for many jobs on a house and garden. So if you need a more versatile product, we'd offer you to consider our best pick option or the one that can be extended several sections. 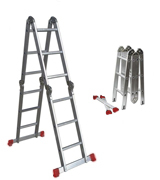 In general, however, this ladder is very well made and will let you perform many different tasks. It's a good choice for DIY enthusiasts and those that need a compact ladder to store in a flat. A ladder is a tool that can help get a lot of elevated jobs done in an easy way. Any house owner who's ever tried to unscrew/screw a bulb or trim branches off trees using a chair knows firsthand how tiring and inconvenient this process can be. The ladder can facilitate reaching high points, providing you with support and rigidity, and can be set along any vertical surfaces like a wall to help you extend to the places you'd not be able to reach otherwise. No matter whether you seek a ladder for at-home use or to take on a construction site, consider reading our recent review on 5 most popular and worthy extension ladders and choose one for yourself. To perform smaller tasks around your house or flat, check out our review on the best step ladders. For assembly works and minor repairs, you may want to consider buying one of the screwdrivers and screwdriver sets or electric screwdrivers. In order to find the best telescopic ladder, you need to look at a few key parameters and also adjust your preferences according to the kind of work you’ll be doing with that ladder. First off, look at how tall the ladder is. 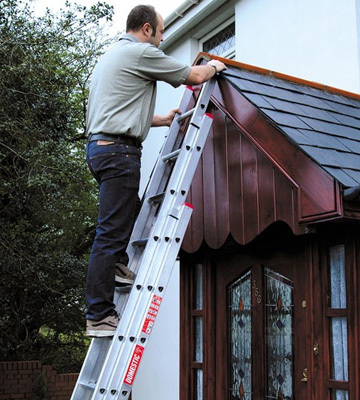 The height of ladders ranges from 3 metres to 9 metres, which may be too much if you just want to clean the gutters or get on the roof to do some tiling. You don’t need the tallest ladder if you don’t have to climb too much, a medium-sized one will do just fine. Measure the height of your house and see how long the ladder has to be for you to reach the roof. 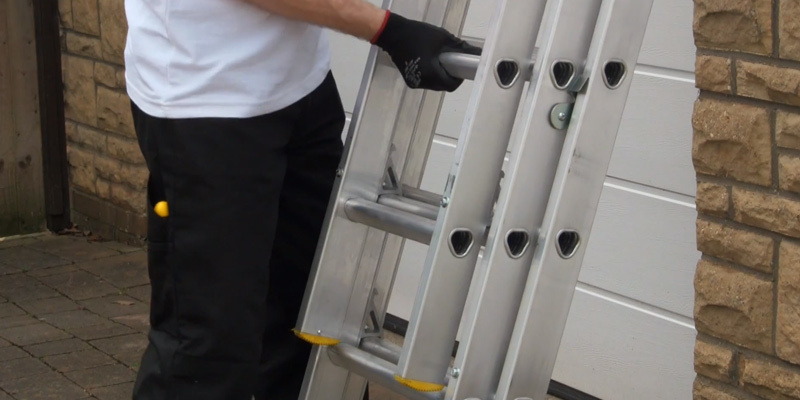 Another important feature is the number of sections because you can regulate the height of your ladder by extending only a few sections at a time. This adds flexibility to the kind of work you can do with this product and you don’t have to limit yourself to a certain height. Of course, you also shouldn’t forget about safety precautions that will protect you when working on the ladder. As we’ve already mentioned, the longest models may reach up to 9 metres easily, so it’s imperative to have something keeping you up. For example, anti-slip steps are a great advantage that won’t influence your efficiency when working but protect you from an accident. Another important feature is the caps on the ladder legs that will prevent them from sliding on the surface that the ladder is standing on. 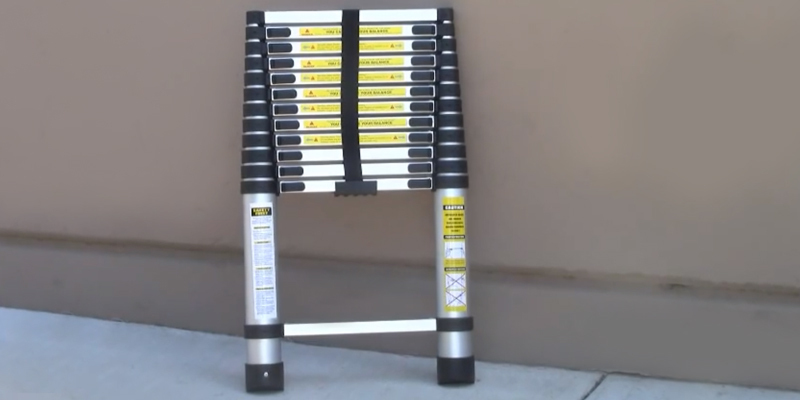 That way you can put the ladder on pavement, grass, dirt, or any other surface without worrying about falling off. Handholds that you can grip while ascending and descending the ladder are also a great addition that won’t raise the weight of the product too much but will provide substantial safety. One more thing you should be checking is the material that the ladder is made of. It has to be tough enough not to bend under your weight but also light enough so that you can carry it wherever you need. 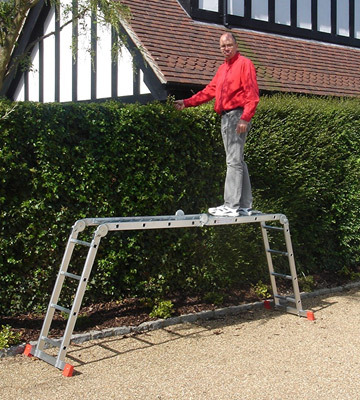 A popular choice is aluminium as it’s quite sturdy but also it doesn't weigh much even if the ladder has many sections and is more than 5 metres long. If you pay attention to an extended ladder review, you should find information on all of these features and decide quite quickly what model you want. Plus, make sure to check the warranty just to have a chance to fix any unforeseen issues that could arise. Be thorough with your research and you’ll certainly get the perfect telescopic ladder for your chores, professional work, or casual use. Even though their design hasn’t changed much for a long time, we still tend to think of ladders as of something relatively modern. You don’t really stop to consider the fact that medieval sieges relied on climbing the steps to conquer the walls or that pirates used them to cross from ship to ship. Sure, nowadays we have metallic models that offer more stability and higher weight capacity, but how old is the concept of a ladder really? Well, according to the ancient pictures that were found in a Spanish cave, these tools might just be older than 10,000 years, a pretty crazy number. Of course, back then they weren’t made of stainless steel and didn’t have many folding sections. But the concept idea of the product was pretty much the same. The oldest known models were made out of rope, the most accessible and most reliable material available back then. And it’s not a bad choice, really, and some countries still use them because they are cheaper and/or because they look very unusual and interesting. While you might view a rope ladder as something from an adventure movie, they can still be seen outside of museums. Another popular choice was, of course, wood. The longest wooden ladder, or at least the tallest one that was fixed in the Guinness Book of World Records, was the ladder extending for a mind-blowing 41 metres. Of course, you will not call that ladder safe or useful but agree, the length is impressive. The tallest models that are actually being used belong to American firefighters. They measure approximately 32 metres but unlike the ladder from the Guinness Book, they are sturdy and reliable. The US citizen John Basley, a professional carpenter and inventor, created the first prototype of a modern step ladder back in 1862. Putting hinges on the tool, he made sure that it could be folded for added portability, thus making life easier for many handymen all over the world. So the “grandfather” of the modern extending models is over 150 years old, having made some significant leaps in that time. Being a mundane appliance in every household, ladders attracted more and more attention to themselves. Which is why it's not surprising soon people have started to invent new ways how to use ladders. Today you can find many fun games and records that involve a ladder. One of the most unusual records was set by Iya Traore and was called “Most steps climbed backwards while controlling a football with the feet”, set by Iya Traore. The Guinean football player ascended 75 steps in Beijing, China, in 2007. Another strange record is known under the name “Greatest distance climbed on a ladder in 24 hours”, which has not only been set but also challenged numerous times and, finally, beaten. The original record was set by a group of New Zealand firefighters. They climbed a 10-metre ladder 10959 times in the span of a day in 2005. 12 other teams from all over the world tried to beat that result but failed without ever getting close to beating the record. However, the thirteenth attempt by a fire brigade from the Isle of Man ended up highly successful as they absolutely demolished the existing record, climbing the ladder 11417 times in just 23 hours. To put it in perspective, that is around 133 km or the equivalent of climbing the famous Mount Everest 14 times. Q: Is it okay to carry items with me when climbing up or down a ladder? A: Remember that to safely ascend or descend a ladder, you need to keep both hands and at least one foot on the appliance. 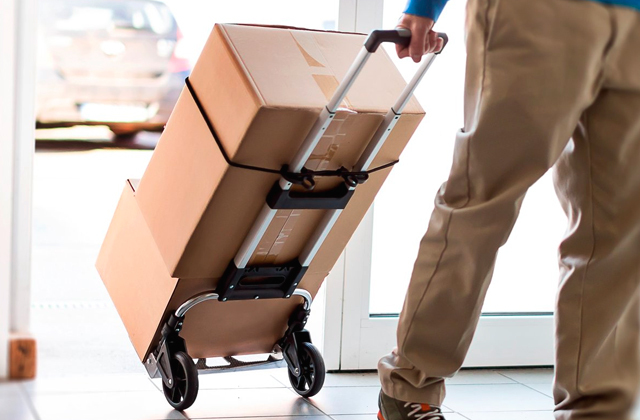 This means that carrying anything with you poses a risk and is definitely not advised. There is a variety of ways to bring something up or down with you, just not in your hands. It’s quite possible to hang something on your belt or use a rope to raise something or bring to the ground. And, of course, the easiest way would be to have someone assisting you. 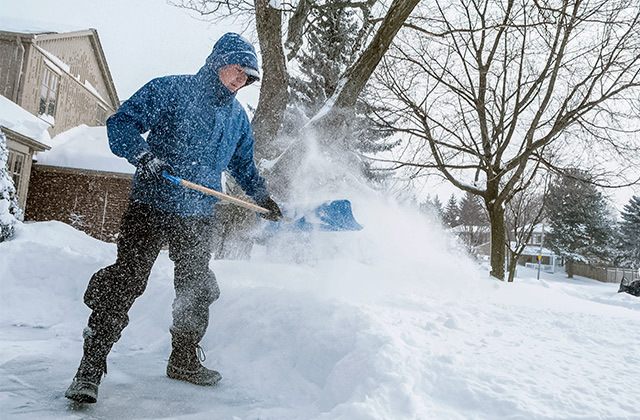 Q: Is it safe to use a ladder in any weather? A: The majority of models you’ll find on the market are made out of some sort of metal. This means that it is incredibly dangerous to use them during a storm due to the risk of a lightning strike. No work is urgent enough to risk your life like that. Moreover, any rain, even a slight drizzle, should put your chores on hold. If the steps get slippery your chances of falling increase exponentially. Besides, even the best caps won’t keep the ladder from sliding if the ground is wet and you put your whole weight on the product. Just consider whether the task at hand is important enough to take the chance on such a risky endeavour. 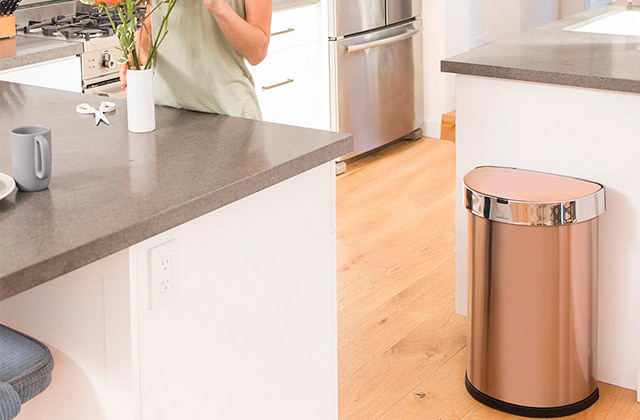 Q: Why not just use a step stool instead of this huge appliance? A: If something as small as a step stool is enough to get you where you need to be then, of course, you can use it freely. But a lot of times you need extra height and that is not something you can get with a stool. Besides, the extending ladder is adjustable, so you can match how tall it is to your preferences. That way you can have one handy tool for a variety of jobs, chores, and tasks, no need to get several different products for different days. Q: Do I need a second person to help me, like holding the ladder while I’m on it? A: It is not strictly necessary but, as always, safety is priceless and if you can get a friend or a relative or a coworker to help you out - all the better. Remember that a good product won’t wobble or slide but you can’t account for accidents. Having someone to help will not only make your work safer but also cut the time you spend on it substantially. Q: What else can I do to make work on or with ladders safer? A: An easy way to minimise the risk of slipping is to clean off the soles of your shoes before getting on the ladder. That way you reduce traction and are less likely to fall off. A more time-consuming way is to keep to the 4:1 ratio when you’re leaning the tool against the house or whatever you plan on climbing. For every metre of height, shift the base away from the structure by 0.25 metres. That way you get maximal reliability and the ladder is supported well. If there are any wires around, it’s best to steer clear of them, especially if your ladder is made of metal. It’s the same as with a lightning strike - be smart and take the time to set up properly before you begin work. A couple of extra minutes won’t make much difference in how fast you complete the task but they might just save your life. Remember: safety always comes first. 1. Ladder Buying Guide, Lowe's. 2. Choosing The Right Ladder For The Job, Grainger. 3. Stevie Donald How to Choose an Extension Ladder, Overstock. 4. Tim Carter Extension Ladder Sizing, Ask The Builder. 5. Ladders - Extension, Canadian Centre for Occupational Health and Safety. 6. Portable Ladder Safety, OSHA. 7. Safe use of ladders and stepladders: A brief guide, HSE. 8. Tips and Techniques for Safe Extension Ladder Setup and Use, Family Handyman.